One of the leaders of the Positive Psychology movement, Shawn Achor, the happiness guy from Harvard, has a great imagery packed 12 minute TedTalk explaining our negative and positive filters, and some problematic approaches in psychology. I showed it to one of my clients, an Irish comedian, recently: and he declared it ‘a perfect set’. I have embedded it at the end of this post, and I highly recommend giving it a look to see if there’s anything useful you can take away from it to help you to examine your attributional style (how you explain the world to yourself), and to deliberately reframe it to a positive bent. We believe that we should work to be happy, but could that be backwards? In thi s fast-moving and entertaining talk from TEDxBloomington, psychologist Shawn Achor argues that actually happiness inspires productivity. 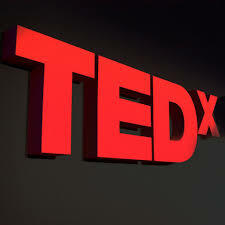 If the video is not working on your browser click HERE to open a new window directly to the TedTalk.